If you’re reading this page, it’s likely that you already know what a gastric band is. A gastric band is different to a diet, in that although it still requires some motivation and commitment, it turns weight loss into more of a physical process than a psychological one. When the band has been fitted, you physically cannot eat the same quantities of food that you could before; no matter how much your subconscious mind wants you to. Over a period of time, providing the post operative instructions are followed, the reduction in food eaten usually results in the desired weight loss. Gastric band surgery can be a very effective way to lose weight for some people, but like most types of surgery, it is not totally guaranteed to work and although generally a very safe procedure, it is not completely without risk. It also costs a lot of money. By now, you may have started to realise that if your subconscious mind is powerful enough to make you gain weight, then it is also powerful enough to help you lose weight. The Hypnotic Gastric Band Programme contains powerful suggestions for your subconscious mind to believe that gastric band surgery has been performed, enabling your body to respond as though there is a reduction in stomach capacity and therefore reducing the amount of food that can be eaten. 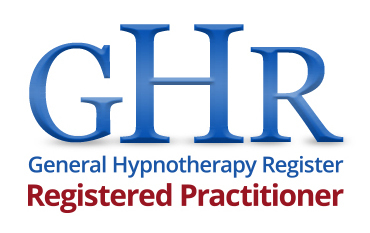 Designed to simulate the process of having a gastric band fitted, the benefits of this personalised hypnotherapy programme are that it is designed, in conjunction with your motivation and determination, to produce long term change without the risks and side effects associated with actual surgery. The key to success is you. No diet or weight loss system will work if you are not totally committed to losing weight. You need to be prepared to make changes to your eating habits and lifestyle. Like most other medical or therapy procedures, there can be no definite guarantees. However, your subconscious mind is very powerful and by participating in the Hypnotic Gastric Band Programme, you will have the tools and ability to change your eating habits and make healthier lifestyle choices.